If text and images are the stars of an eLearning course, then audio in eLearning is one of its most effective supporting actors. It has the power to create the perfect atmosphere and set the tone for the entire eLearning experience. In this article, I'll share everything you need to know about using audio in eLearning. eLearning is typically associated with written online content and visuals. In some cases, even tactile elements are integrated to cater to our sense of touch. But the ears are often left out of the equation. Using the right audio in your eLearning course design can make it even more engaging, emotional, and memorable for your online learners. This results in greater knowledge retention and absorption, which maximizes the benefits of your eLearning program. If you want to achieve the desired effect you must follow the following 7 golden rules for using audio in eLearning. The purpose of using background audio is to create a sense of immersion and evoke a certain emotion. If your audio is too loud, distracting, or it runs the entire duration of your eLearning course, it may have the exact opposite effect. Your leaners might be focusing more on the music blaring in the background than the online text or eLearning activities that will help them achieve their goals. Remember that the brain can only process a finite amount of information at once, including the audio elements in your eLearning course design. Learners don't want to log into the eLearning course only to discover that they'll be dealing with a mechanical and monotonous narrator for the next half hour. Keep your tone light, conversational, and inviting, so that learners can connect with the subject matter. It also helps to boost engagement and motivation, due to the fact that you're holding their attention instead of boring them to tears with a robotic voice. Avoid using terminology that may be out of their scope, such as technical jargon for learners that lack experience. Last, but not least, try to add words of encouragement and inspiration whenever possible. Even a "congratulations" or "job well done" can give them the boost they need to achieve their learning goals. There may be some eLearning audio work that you have to outsource, such as voiceovers or professional soundediting. Break the entire process down to its most basic components, from writing the script to editing the recorded eLearning audio. Then, determine which tasks you can take care of yourself and which you'll have to delegate to another team member or vendor. For example, if you aren't comfortable narrating the script yourself you may have to outsource it to a professional voiceover artist who can convey the right tone and emotion. You may even want to gather an entire team of audio specialists who you can call upon when the need arises. For instance, you can reach out to a voiceover artist who has a specific accent or tone for an eLearning project, or a professional editor for more complicated jobs. Find the right audio equipment. You will generally need a microphone, recording software, and editing software to create eLearning audio. However, if you are enlisting the aid of voiceover talent you can cross the microphone and recording software off your list, as they will provide you with a file that contains the eLearning audio. There are a wide range of recording/editing platforms to choose from, many of which are free or at a low cost. Some tools even offer you the ability to add sound effects, remove white noise, and reduce distortion. Research all of your options to find the tools that work best for you, your experience level, and your eLearning budget. The music you choose should always align with the subject matter and eLearning course message. Ultimately, it must convey a specific emotion and allow learners to fully immerse themselves within the eLearning environment. This is why it's crucial to choose your music carefully and identify the desired mood well in advance. Classical music is ideal for situations that call for calm and inspiration, while ambient tracks with heavy bass can help your learners pick up the pace. Try out a few different music selections to see which track sets the right tone. Choose royalty free sound effects. Sound effects have a wide range of uses in eLearning course design. They can make eLearning scenarios and simulations even more realistic, or add a touch of humor to an emotionally-centered story. However, it's important to choose sound effects that are royalty free or cite the proper sources within your eLearning course. For example, a number of sites offer free sound effects, but you must attribute the creator in exchange for using the audio file. Many eLearning authoring tools feature an asset library that includes royalty free music and sound effects. 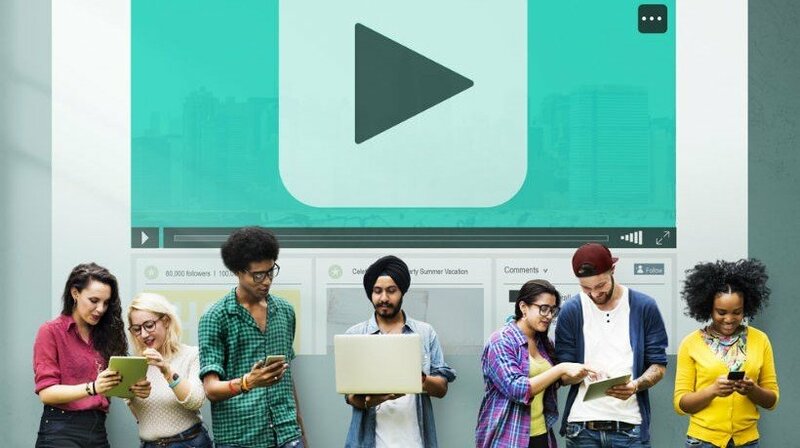 If you are planning on creating multiple eLearning courses it may be wise to invest in one of these multimedia-rich eLearning platforms. Audio narrations can help to increase comprehension and knowledge retention, particularly when you use it to explain complicated eLearning graphics or concepts. For example, if there is a complex chart that you need to include in your eLearning course design you can integrate an audio narration that highlights every aspect of the image. You should also add a text-based explanation, for hearing impaired learners who may not be able to listen to the eLearning audio. Evoke emotion and create a positive learning environment by using these auditory eLearning tips. With royalty free sound effects, effective background music, and high quality narrations you have the ability to create a memorable and interactive eLearning course for your online learners. The key is acknowledging that audio in eLearning has a significant impact on the minds' of your audience, and then figuring out how you can use the power of sound to your advantage. Audio and images in eLearning are a perfect pair. Read the article Images In eLearning: 6 Best Practices To Choose Images For Your eLearning Course to choose images in eLearning so that you can make sure that the pictures you select are ideal for your eLearning deliverable.